We may or may not have an addiction to office/school supply shopping, which was put to good use during the month of August. As part of our birthday celebration (we turned 24 on Aug. 17 — HBD, EG! ), we collected donations of school supplies for Project 150, which supplies needed materials to area schools. 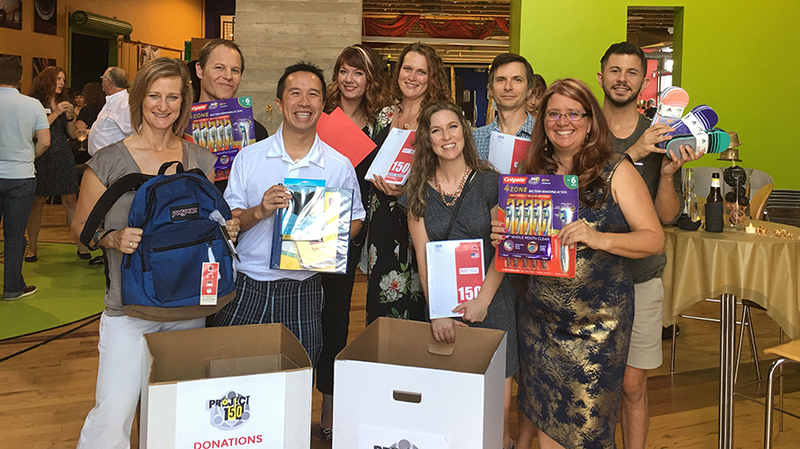 Their Wish List is here, (they are happy to receive donations year-round, not just during back-to-school time), so our goal was to invite revelers at our annual party to also donate to a good cause.